As I prepare for retirement at the end of the month, one of my heroes beat me to it. Earlier this week, on the 39th anniversary of his arrival, Tom Wilbanks retired from Oak Ridge National Laboratory. Wilbanks is a celebrated scientist, valued spokesman for the research staff at the Oak Ridge lab, and one of the genuinely nice people I’ve encountered in my career. No one has been kinder or more helpful to me, sometimes in awkward situations when asked to comment on delicate issues of the day. Regardless of the circumstances, Wilbanks spoke his mind, even when critical of lab leadership or counter to Department of Energy policies. In addressing his decision to retire, Wilbanks said one of the reasons was that he’ll be 78 years old in August. “The shift in DOE’s Office of Science and ORNL away from issue-oriented research and technical assistance toward model-based science was another,” he said via email. But perhaps the biggest factor was his health. In the summer of 2014, Wilbanks was diagnosed with cancer of the jaw. “It progressed unusually fast, and in late September 2014 I had surgery that removed the lower right and center parts of my jaw — making speaking and eating difficult, as you can imagine,” he said. After some recovery time, he returned to work and then had further surgery last November to rebuild the jaw with a bone graft from his leg. The plan is to insert prosthetic tooth implants this summer. I got to know Wilbanks many years ago when the geographer headed the lab’s work with developing countries, helping address energy needs in some faraway places. Over his career he visited more than 50 countries, and one of his regrets is that — even though his energy level is good — his physical limitations prevent him from doing his normal work for his research sponsors. And that includes traveling the globe. 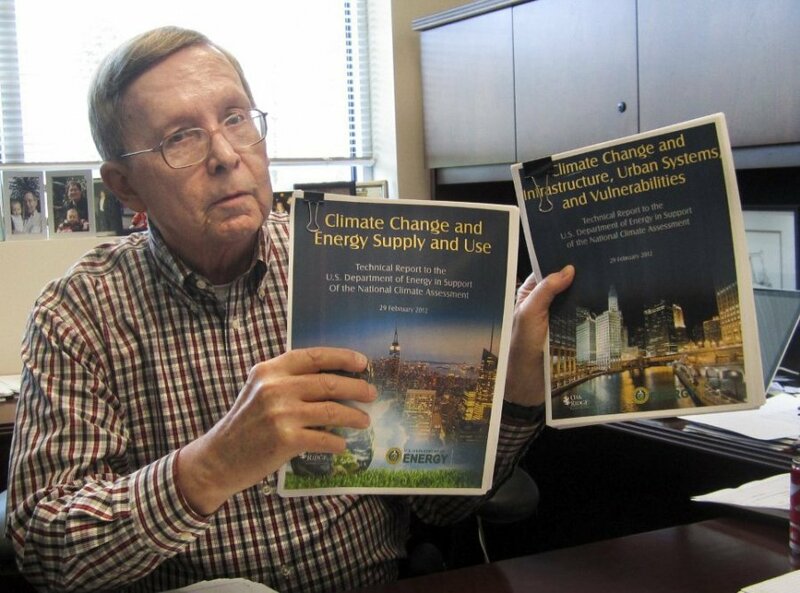 For more than a decade, Wilbanks devoted his attention to climate change and its impacts, mitigation and adaptation, and he shared the Nobel Peace Prize in 2007 for the work of the Intergovernmental Panel on Climate Change. Moreover, Wilbanks has a suitcase full of memories from what he calls his “rich time” at ORNL, including his interactions with lab heavyweights on topics ranging from the future of national laboratories to the response to 9/11. I feel fortunate to have shared some of those memories, too. This entry was posted in ORNL, Science on June 2, 2016 by Frank Munger.